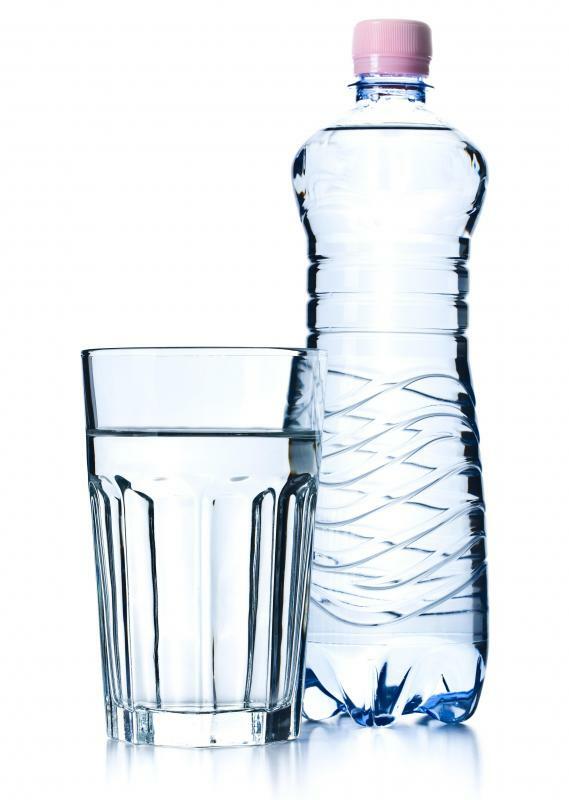 Some people believe that plastic water bottles leach chemicals that are harmful to health. 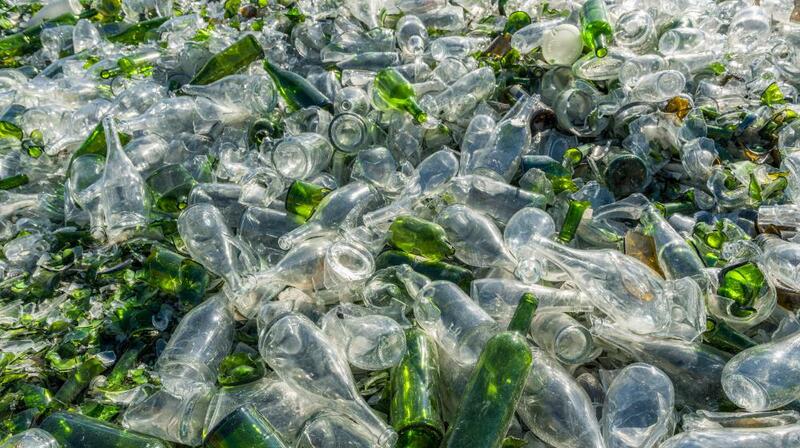 Many bottles end up in landfills. Some people prefer to drink water from glass containers. Plastic water bottles are convenient and may encourage people to drink water, but the plastic they use can cause environmental problems if not recycled. Seemingly fancy bottled water may be nothing more than tap water. 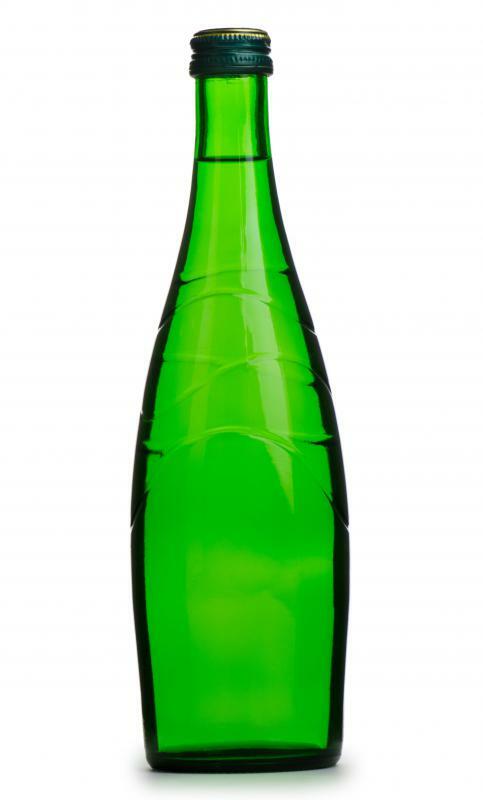 Glass bottles can be recycled. Fancy bottled water is often just plain tap water. 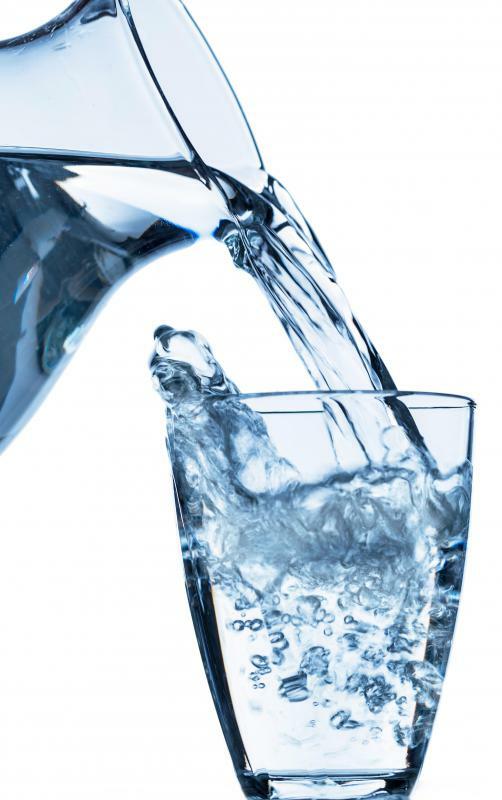 There are a number of things you may want to think about when addressing the issue of whether or not it is bad to drink water from plastic bottles. Bottled water certainly has a negative environmental impact, and it also poses some potential health risks. After weighing these issues, you may want to switch to glass or metal water containers, or start using heavy duty plastic water bottles which are designed to be safely used again and again. From an environmental standpoint, it is very bad to drink water from plastic bottles. Plastics require a lot of energy for manufacture, and they do not break down very readily. People who drink water out of plastic bottles which are designed to be disposable are contributing heavily to the content of landfills, and to the general pollution caused by manufacturing the bottles, bottling the water, and shipping the water. Since few standards govern the content of bottled water, many people are surprised to learn that their fancy bottled water is actually plain old tap water, retrieved from a reservoir. You can save a lot of money by drinking your tap water, which is also better for you, since tap water is regularly tested for contamination. This is also more environmentally friendly, as you can re-use water bottles by filling them at the tap. However, when you re-use plastic bottles, you run the risk of encouraging bacteria to grow in your water bottle. Many bacteria love moist environments, and your well-used plastic water bottle can host a complex biofilm of organisms, some of which could make you sick. This is one reason metal and glass are preferable, because they can be easily sterilized, reducing the risk of ingesting bacteria. There is also some debate over the answer to the question of whether or not drinking water from plastic bottles is safe, re-used or not. Some people believe that plastics leach chemicals which are potentially hazardous to human health, and that by drinking water from plastic bottles, people will ingest these chemicals, putting their health at risk. Other people believe that while plastics certainly do contain hazardous substances, the leaching ability of these substances is debatable. Despite several studies, no one has come down firmly on one side or the other. A number of harmful chemicals are at issue in the debate, particularly the carcinogen di-2-ethylhexyl-adipate (DEHA) and bisphenol-A (BPA), a known endocrine disruptor. Studies do indicate that some plastics contain these substances, and there is a leaching potential, especially when hot water is involved, as the heat can encourage the plastic to offgas, and in the bottle, the offgassing vapors have nowhere to go other than directly into your water. However, all plastics are not alike, and you should look at the recycling code on the bottom of a bottle for more information. 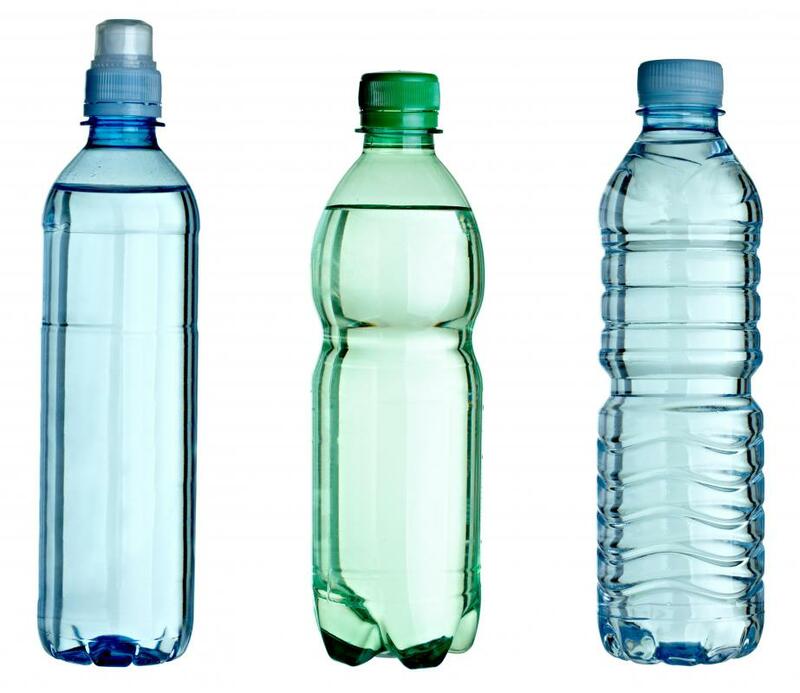 Hard plastics with the numbers two, four, or five are generally viewed as safe to drink from and re-use, while bottles with numbers one, three, six, or seven may pose a leaching risk, and you should avoid them. Are Uninhabited Islands Safe from Plastic Pollution? What Are the Differences between Canning and Bottling? What Are Environmentally Friendly Bottles? Before BPA was researched it was deemed safe, as were phythalates. There is no plastic that is provent o be 100% safe, and we will begin to see more chemicals identified over the next few years that will make us wish we had avoided plastic use sooner. I personally use canned water as it is purified and can be stored long time for emergency use. The plastic bottle manufacturer's agenda is to undermine people's confidence in tap water so that they will buy bottled water. If you buy bottled water, which is often from the same source as tap water, you are additionally exposing yourself to even more of a chemical concoction than if you just drink plain tap water. We are being duped in the interests of those who make lots of money from plastic bottled water and at the expense of our environment. People need to get a life and stop worrying about stupid stuff. Use glass bottles. plastic are always unsafe. You need to look for the aluminum cans containing beer. Apparently this stuff has been around for hundreds of years. It has promoted good moods, and social gatherings, usually with humor. It has even helped in the reproduction of the human species, especially among the less attractive of the species. No but it's better to drink beer from an aluminum can. Fluoride in the correct amount is not poisonous, but very beneficial in preventing tooth decay. As with almost anything you put in your body, if you put more than your supposed to, it can be harmful. This includes water! People have died from drinking too much water, but you don't go around saying water is poisonous. You should do more research from multiple sources. You people need to read the articles fully. You're saying things that were covered in the articles. I think it is naive for one to say that drinking tap water is better for you than drinking from plastic bottles. Public water is fluoridated, fluoride causes brain damage and cancer. Look who owns the water companies? They do not have our best interests in mind. Please look into this as there is numerous research supporting this fact. i guess it all depends upon what you consider "safe." you may have a much different concept of it from the FDA...for now, plastic waterbottles are on the market because they have been deemed safe. that of course, could all change tomorrow! Actually, 1's are not considered safe, because they can contain DEHA! good question - I found this website looking for an answer as well. Do they contain either deha or bpa? Moderator's reply: you can find out what type of plastic is used by looking at the number inside the triangle on the bottom of the bottle. most plastic water bottles are 1s, which are typically considered safe. check out our article, which types of plastics can be recycled? , for a list of what the numbers mean. what should i know about bpa? is another useful article if you're looking for more information on bpa.